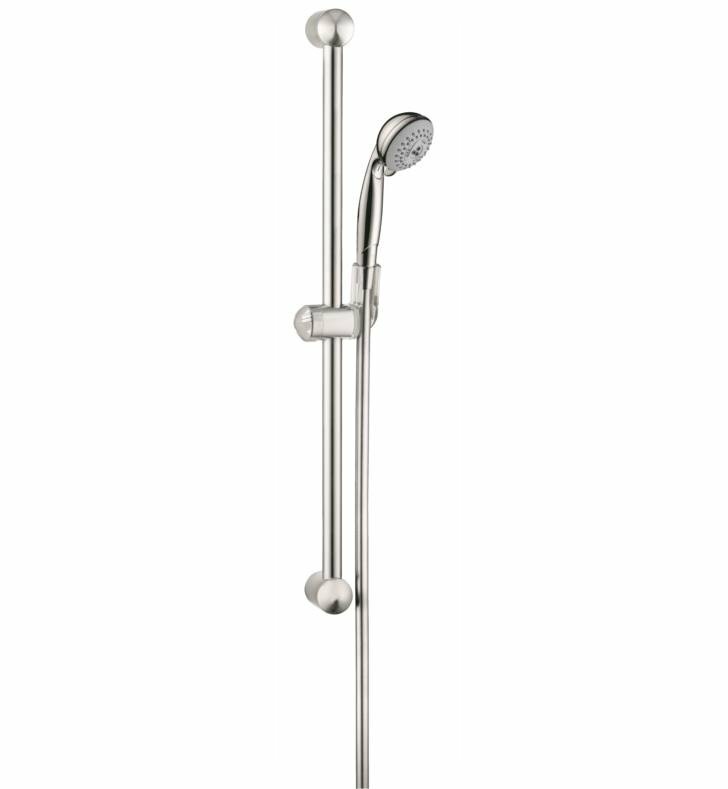 Hansgrohe Raindance Wall Bar Set creates an organic fusion of water and air that is sure to convalesce your senses. With a simple installation, this handshower and wall bar combination unites air parcels with water droplets that create an enveloping feeling of water surrounding you, and maintains an unsurpassed performance. 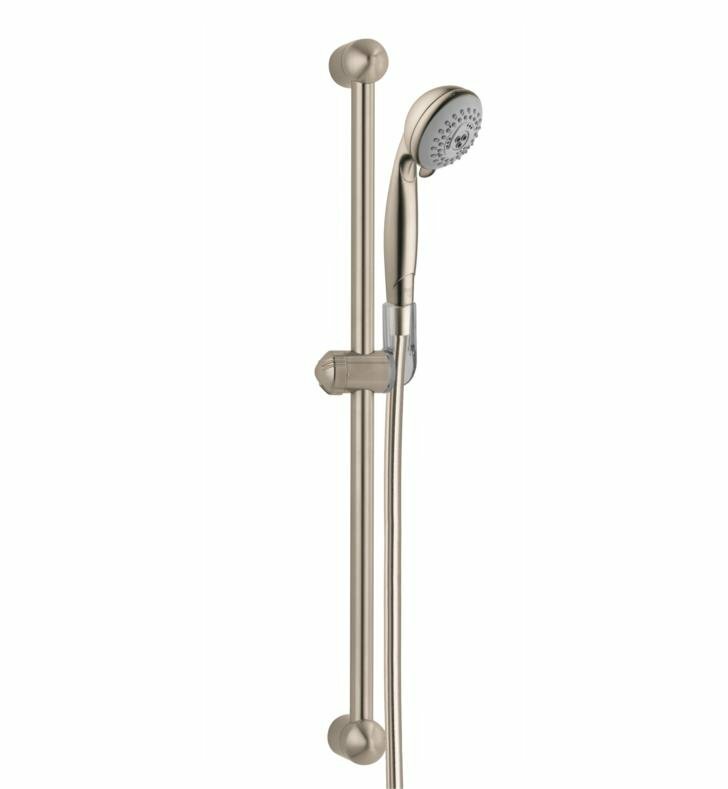 The wall bar is fitted with an angle-adjustable handshower holder to allow you to easily adjust the removable handshower to your individual height by simply sliding the holder up or down the wall bar. Rub off residues easily! Calcareous water, dirt, cleaning agents: Faucets and showers need to withstand a lot. With QuickClean technology, residues disappear in an instant. As Hansgrohe has fitted its faucet aerators and shower jets with flexible silicone nozzles, dirt and limescale can be rubbed off easily. Another plus: Products that are limescale-free and well-maintained remain functional and last longer. 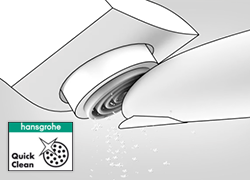 The new RainStream of single sparkling jets is a crowning achievement of the Hansgrohe spray developers. These special overhead shower sprays do not constrict, but remain unvaryingly revitalizing and intense right down to the floor. The result: a new, revitalizing shower experience, irrespective of the users height.